Just like everywhere else in America apparently (even down South?!) we’ve been getting buckets of snow around here. So pretty! I hoped it would lead to a cancelled class this evening, but no such luck. 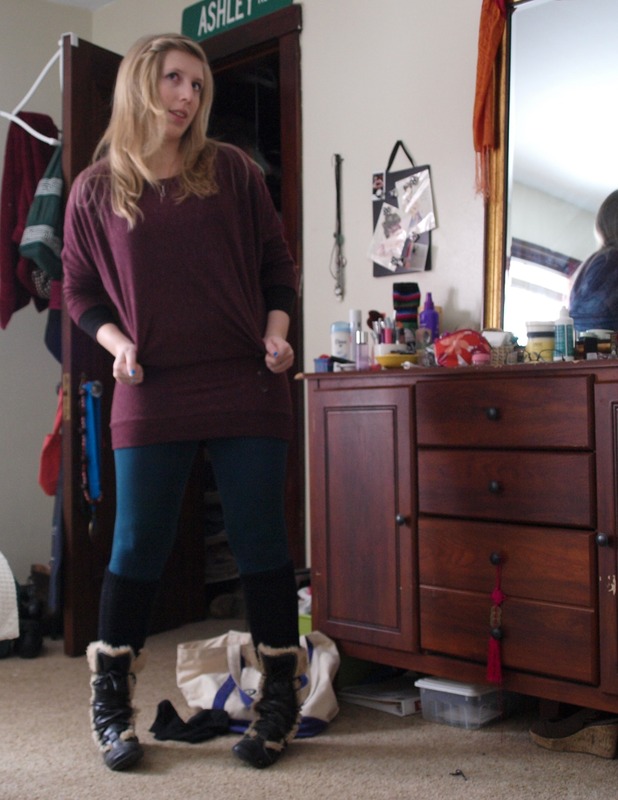 Oh well-at this point in time, I am an expert cold weather dresser. 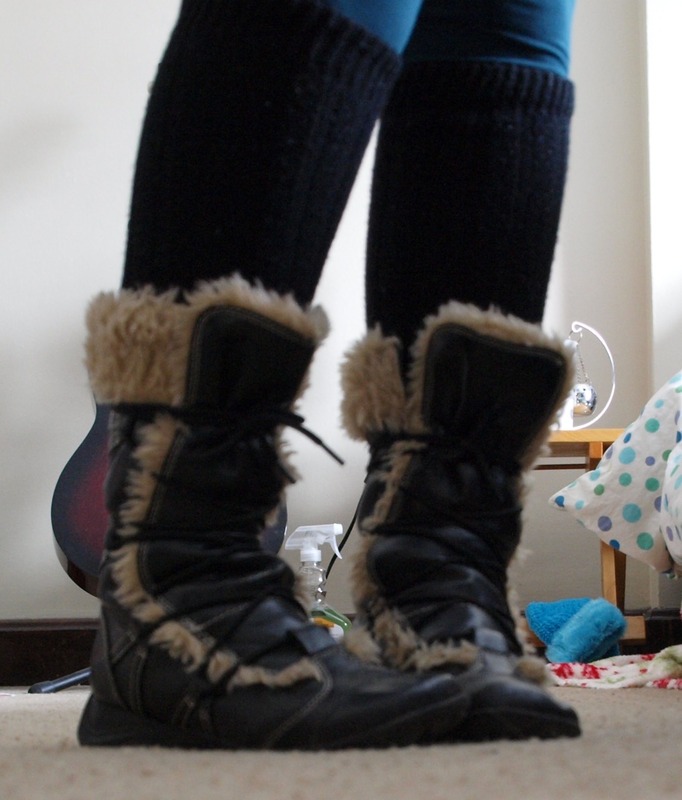 Check out my funky boots-silly, but at least they’re not uggs! Um…no offense to anyone that wears those, I guess? The point is, they’re warm, and I can easily reject the NorthFace/Uggs/leggings look that midwestern college students so wholeheartedly embrace. I often look like a homeless person. This may stem from my dislike of real pants, but I digress. fashion blog world, here i come! Looks like we’ll be getting more snow tonight and tomorrow. 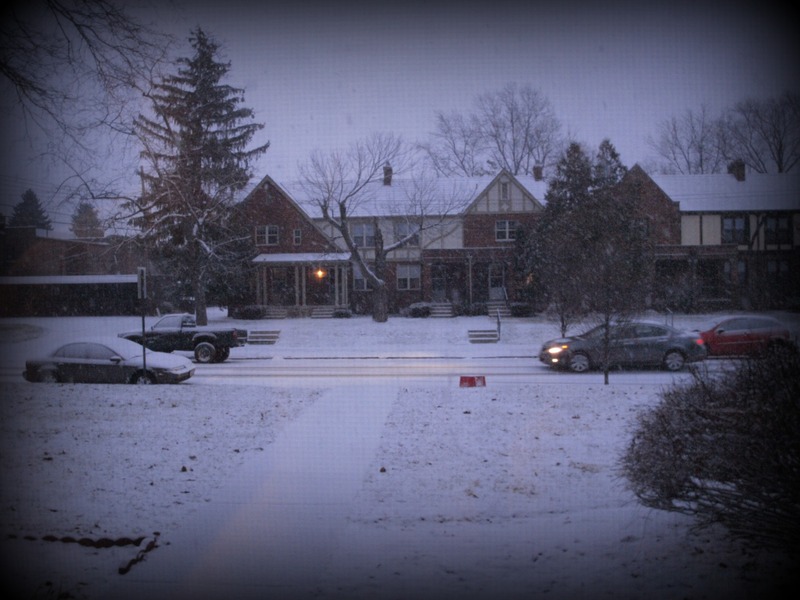 I can’t wait to see it in the morning-I love waking up to snow covering the ground. Really my philosophy is more along the lines of “winter is terrible, but if it’s going to be cold at least let there be snow”. I should work on making that more snappy. the view from my bedroom window....what a sight to wake to! Stay warm out there people! Those are some nice boots – have I seen those before? You have not…I bought them several years ago in college, but I didn’t take them to Korea or anything. Also, i can’t tell if you’re being sarcastic or not! I definitely got some looks yesterday, haha. haha, thanks! they’re a bit…different, but they do the job in all this midwest snow and ice! 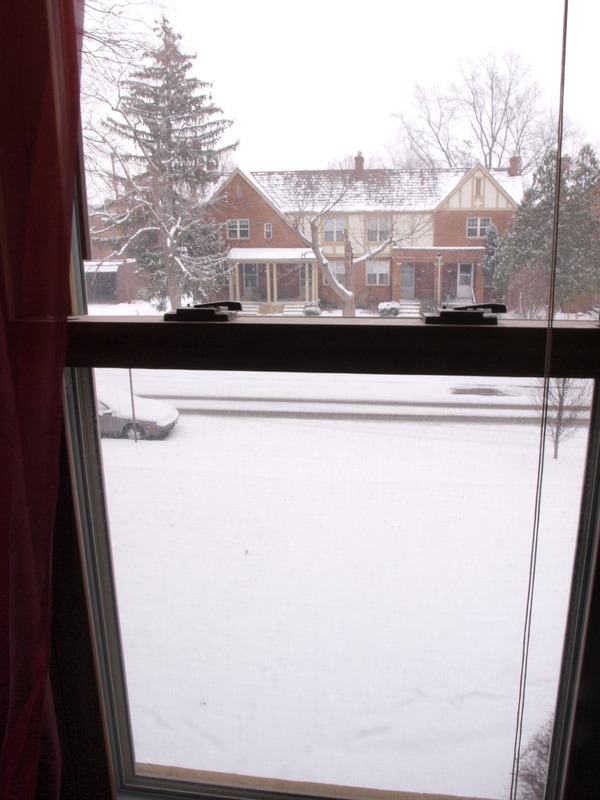 Now that’s what I call a real snowfall! It’s amazing to me that there’s still so much ice on the roads in Atlanta even though the snow stopped 3 days ago. You’ve inspired me to try to be more stylish even when dressing for the snow – although hopefully it won’t snow in Atlanta again this year! I hope you guys get your ice taken care of! (although a couple of snow days never hurt anyone:) And thank you for flattering me-I really should take a picture of an actual *good* snowy weather outfit; I feel like I’ve definitely gotten the hang of it over the past few years! I LOVE your boots! I also envy your snow – it’s so insanely warm in Australia right now! Thank you! I’m perfectly content with the snow now…although in another 6 weeks or so I’ll be the one envying you and your Australian heat!